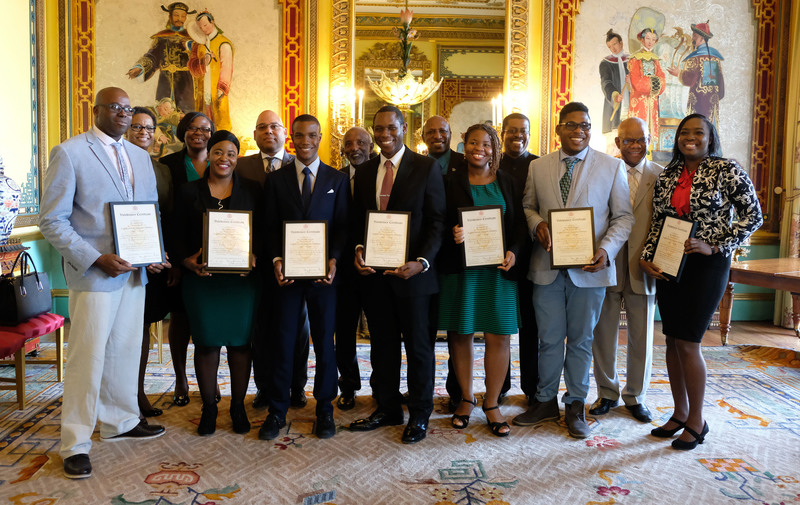 Over six weeks, eight scholars from across the Caribbean have had the opportunity to join the Master of the Household's Department at Buckingham Palace and Windsor Castle. 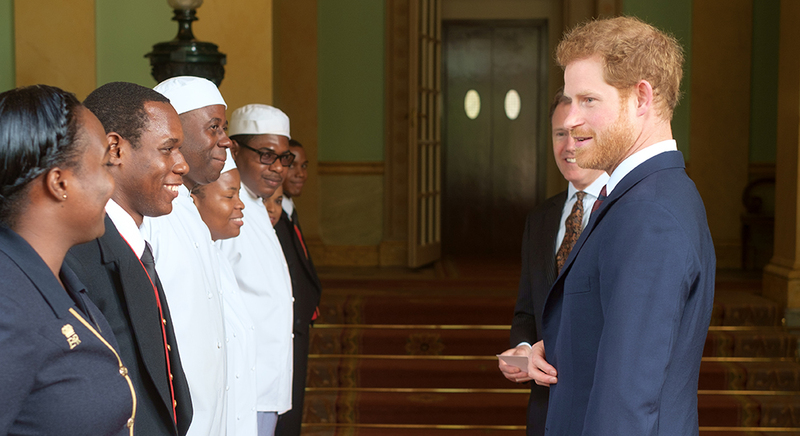 Announced by The Duke of Sussex in November 2016 during his tour of the Caribbean, the scholarship has provided an opportunity for passionate and skilled hospitality professionals from the Caribbean Realms to learn new skills. The aim of the Scholarship is to develop individuals' skills through practical experience and to exchange knowledge between the scholars and the Royal Household. 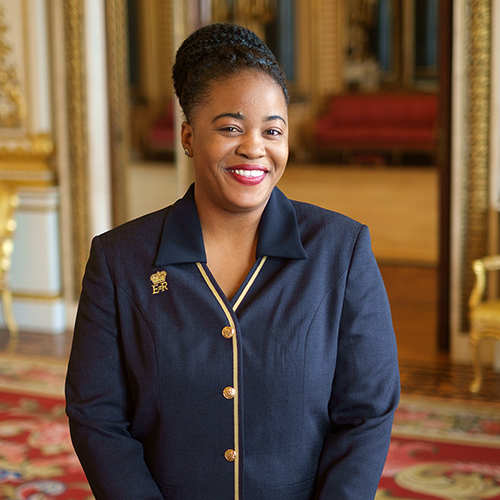 The programme has also provided an opportunity to find new ways of improving the Royal Household's processes, whilst sharing knowledge and experience and building relationships with the wider commonwealth. The scholars spent six weeks at the Royal Household and assisted in delivering a complex programme of Royal events, which culminated in the delivery of Royal Ascot week at Windsor Castle in June 2017. 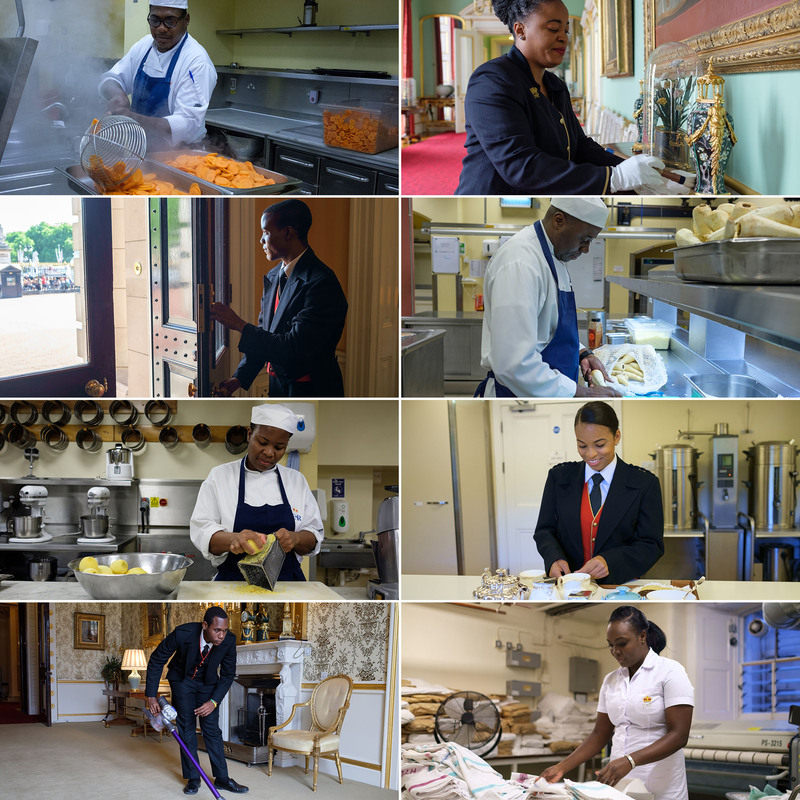 Based on their applications and interests, the scholars were allocated to different areas of the Master of the Household's Department; the Housekeeping team, the Front of House team and the Royal Kitchen. The scholars have come from eight different Caribbean Commonwealth nations; Antigua and Barbuda, Bahamas, Barbados, Belize, Jamaica, St Kitts and Nevis, St. Lucia, and St. Vincent and the Grenadines. 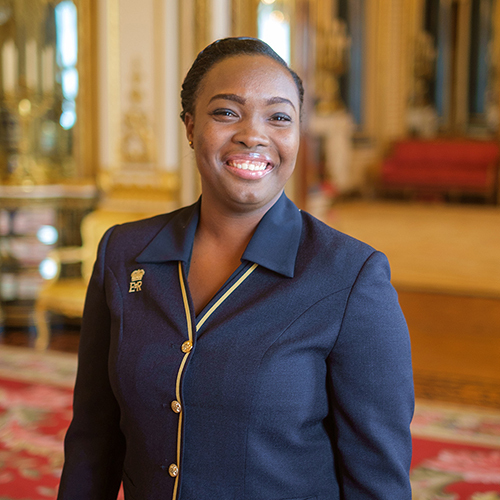 Claudine is very passionate about hospitality and especially housekeeping. 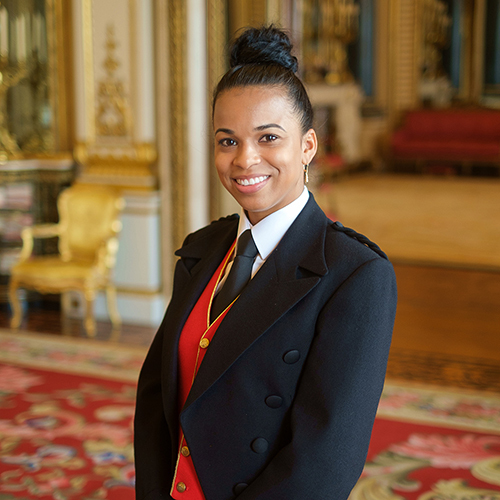 Her goal is to become Director of Housekeeping one day, and wants to develop her career in the Caribbean. Jared is keen to broaden his experience by taking part in the scholarship so that he can share these skills with his team of eight chefs. 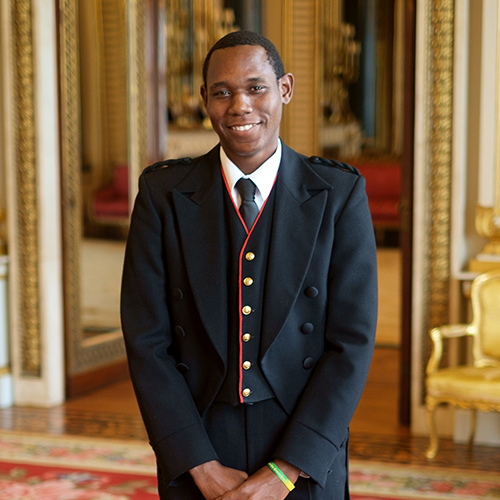 Johnathan hopes to work in the tourism and hospitality industry in Barbados when he has finished his studies. Michelle hopes that the scholarship will give her more experience in event management, as she hopes one day to own her own events agency. Rusheda wants to one day become a Hotel Manager and hopes the scholarship will provide her with new skills in order to realise this aspiration. 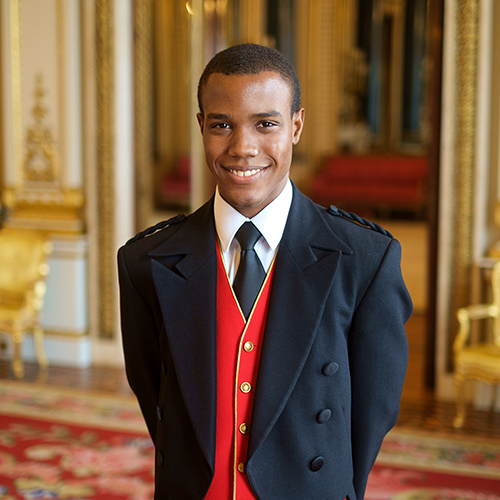 Akeem is looking forward to the scholarship to broaden his understanding of the hospitality industry and the way in which events are delivered in the Royal Household. 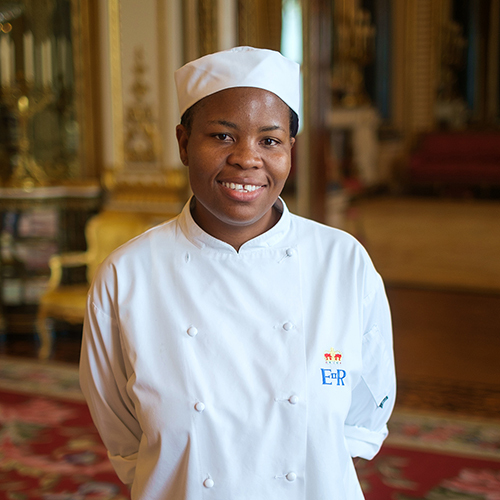 Sema's passion is baking and decorating cakes, and she hopes to develop her skills in the Pastry Kitchen at Buckingham Palace amongst other areas while working with us. 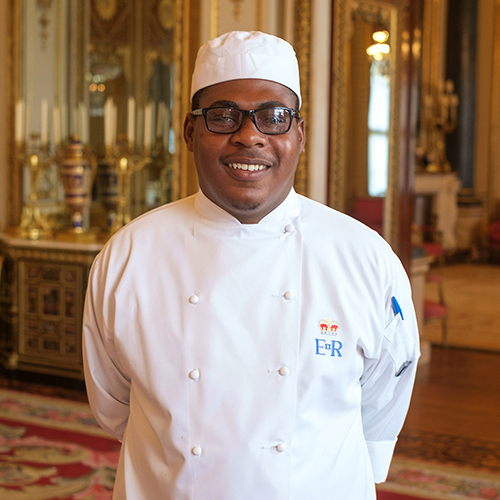 Moriba wants to develop his skills in all areas of hospitality, and particularly in housekeeping, and sees the scholarship as a great opportunity to learn new skills and experience new ways of working. Scholars were encouraged to develop their ability in a specific area, learning and implementing the techniques developed by the Royal Household. They also had the opportunity to make connections with industry leaders, and spend time working with specialist suppliers, enhancing their understanding of the hospitality industry. After a busy 6 weeks, the scholars were invited to a reception to celebrate their achievements and were presented with a certificate by The Master of The Household, Vice Admiral Tony Johnstone-Burt. In recognition of the scholars hard work representing their nations, the High Commissioners of each participating country also attended the reception - congratulations to all involved! 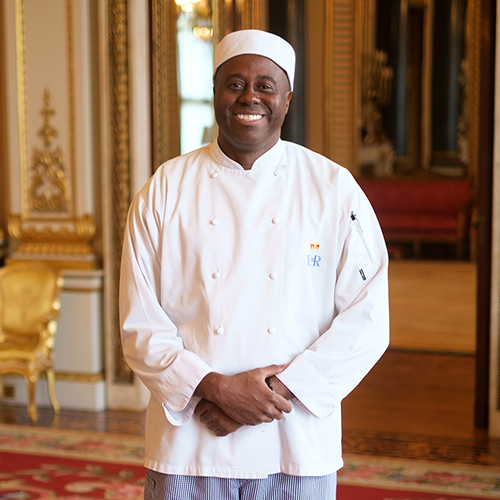 The Masters of the Household's Department handles everything involved with hospitality, catering and housekeeping across the Royal Household. As such, their diverse team includes everyone from florists and upholsterers, to specialist craftspeople and caterers.